I grew up believing that landing a good job looks like this: clocking in at 9, sitting in a fluorescently lit cubicle till 5, and getting a 3% raise every year until you reach middle management. Now, there’s nothing wrong with that model, but what if that doesn’t actually make you happy? Or even make use of all that you can offer in your work? And how do you worry about finding a job you actually like while you’re juggling all the logistics of searching for a job? You can easily spend hours (or days!) tweaking your resume, writing cover letters, and going through rounds of interviews, only to find out that someone else got the job through a personal connection. What gives?? It doesn’t have to be like this. These days, there is a new formula for finding success at work. 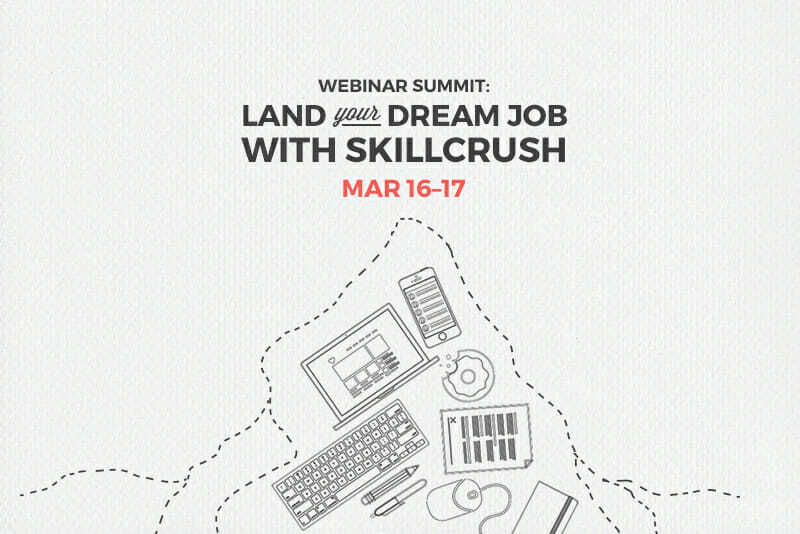 In Skillcrush’s Land Your Dream Job Summit on Wed March 16–Thursday March 17, our lineup of speakers showed you how to navigate the job search AND land a job that you actually love doing. Why are we doing this? I wanted to give you the tools you need to kick your job search into gear…and stat. In 2008, Adda Birnir (along with many other Americans) was laid off. As she walked out of her office with a pink slip and a box filled with the contents of her desk drawer, she noticed something: all the people who didn’t get laid off had technical skills. After teaching herself to code and building sites for companies like The New York Times and WNYC, she founded Skillcrush with the mission of helping other women learn the digital skills they need to take control of their careers and become ultra hireable, no matter what the economy looks like. She’s going to share the top ways learning digital skills will totally transform your career and job search, and give you the rundown on exactly which tech skills to start learning now to make yourself more attractive to hiring managers and eligible for the highest-paying jobs. Have you played it safe with your career—but dream about an idea or career change that gets you excited? Are you thinking about taking a courageous leap with your career or life? Kelly Hoey’s empowering strategies will help you land cleanly (and successfully!) on your feet. In the span of just a few short years, Kelly went from “law firm manager” to “influential investor and advisor.” Her strategies—including developing skills and new expertise, ​cultivating ​diverse professional relationships and networks,​ and building​ a “Yes Me” Fund—will set you up to successfully take the big career leap of your dreams. Are you interested in getting a remote job but not sure where to start? Brie Weiler Reynolds is a career advisor and the Director of Content and Community at FlexJobs, the award-winning site for telecommuting, flexible schedule, and freelance job listings. In her live Q+A, she’s going to answer your most pressing questions about how to navigate job boards and search for a job online, how to position yourself as an ideal applicant for a work-from-home job, and how to spot and avoid job scams. Brie will also share some of the most common tech-related job titles and companies that hire remote workers. Poornima Vijayashanker is an entrepreneur, engineer, author, and speaker, and the founder and CEO of Femgineer, an organization that develops courses, guides, workshops, and talks to teach the principles of software product development, design, and marketing. Her mission is to help her students get rewarding careers and redefine the model of a successful tech career, making the culture of the tech industry more inclusive and flexible. Poornima is going to share how her experiences in public speaking have leveled up her career, and how it can be a tool for you too, whether you’re a beginner or a veteran in the industry. She’s also sharing public speaking techniques that can make you a job interview pro, so you can walk into your job interview in charge of how you come across and know you’ll leave a good impression. Whether you’re in a job interview or networking conversation, you’ll always be asked “Tell me about yourself.” Have you prepared an answer that opens heavy career doors? If not, don’t worry! Career coach Ashley Stahl will share her personal formula for crafting the perfect elevator pitch so that you can have more networking conversations that turn into job interviews. After leading a major Pentagon project at the age of 23 and being named a “Top 99 Foreign Policy Leader Under 33” by Diplomatic Courier Magazine and Young Professionals in Foreign Policy and a “Power 30 Under 30 Leader” by Apex Society, she turned her attention to helping other millennials find their purpose, land more job offers and increase their income. She’s worked with thousands of 20- and 30-somethings in 19 countries via her online program, the Limitless Career Lab, and she also privately mentors forthcoming coaches in their business launch process. Maybe you like your job, but you hate the office. Or you want to stay at your company, but you can’t take another 2-hour commute. Rachel Valdez will break down exactly what it takes to convince your boss you can work remotely…and she’s got experience. At PowerToFly, she works to connect companies with remote talent across the globe, so people like you can work from home and still move up in their careers. Rachel is the Head of Global Talent Management at PowerToFly and has 20 years of technology management experience at T-Mobile USA and Microsoft Corporation, where she oversaw global learning and business development programs. At PowerToFly, she helps builds and enable the world’s largest network of career women who work from anywhere. 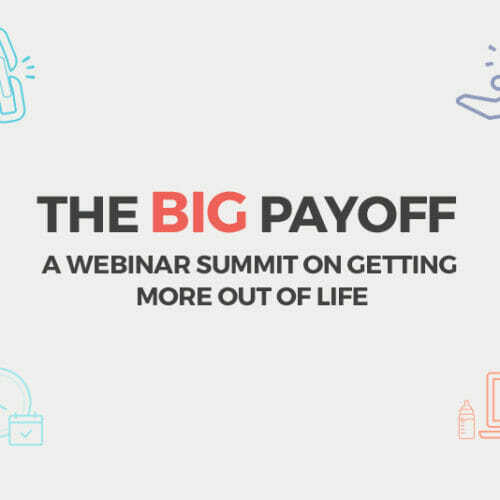 In addition to these amazing live webinars, you’ll receive hundreds of pages of free ebooks and worksheets from all of the speakers! Hope you’ll join us in the Land Your Dream Job Summit on March 16th and 17th! If you can’t make the webinars live, you WILL receive links to webinar replays afterwards. Make sure to sign up for access.